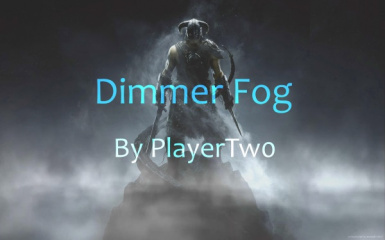 Combines both Main and Optional file into one and expands on what kinds of fog/steam is edited as well for a more natural looking Skyrim. 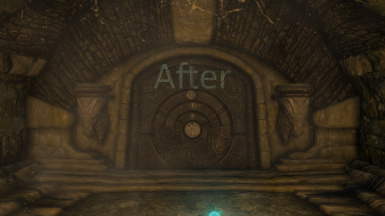 Also keeping main replacer at 66% instead of having all the options as it was the best looking choice. Author needs to change the Fomods XML file from 2.0, to 2.1, so NMM stops reporting it as v2.0. Mod itself, works well and does fix a major problem with interior fogs. I download it and it says 2.0 but NMM says 2.1 is available... so I guess it doesn't work? Excellent work on your mod. 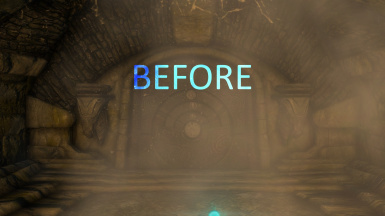 I use "Main off" but tried the reduced fog, and I want to add to what others have said - the reduced fog version of this mod doesn't do quite enough for me. I would love it if you added another toned down version. Thanks again, this mod is quality, it does exactly what it says no problems or extras or glitches or anything. Exactly what I needed. Thank you. It's unfortunate however that my only option is to turn the fog off completely as the reduced effect is too subtle, perhaps because my enb just blows out the fog. Thanks! I am not quite sure what is going on but every time I download the update and try to install it, it keeps saying I have 2.0 installed and there would be an update available? I deactivate 2.0, activate 2.1 and press "no" to install normally. And yet it still says 2.0. Even when I delete the mod before downloading the new one. Is that a simple metadata error? Mod works great! My ENB tweaks were making the fog stand out way too much. The Blue Palace in particular was horrible. This fixed it! Edit: I did finally remember to check without my webs mod and it was only slightly less blinding without that mod. I've been wanting something that does this forever. Works great. Thanks for the mod. One thing I did notice about it is that it doesn't do much if AGCC is on in my ENB. If there was a way to get it to work with AGCC on that would be fantastic. I need AGCC for my night darkness and night eye to work properly but then have to turn it off again any time I run into fog.